So, my sister has given me my first blog award. She truly is responisble for getting me hooked on my cricut and for getting me back into crafts after not doing them for so long after my kids were born (5 years ago!!) So thanks Rebecca. 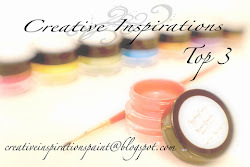 She does some really cool stuff over at her blog Crafting Misfit. 1.I have been a Registered Nurse for 10 years and work full time at a hospital during the evening and am home with my two kids during the day. I often wish I could be a stay-at-home mom, but I know I would really miss being a nurse so I can never give that up. 2. When I was getting married at age 21 everyone said we were too young and I never believed them. Now that I'm 31 and I'm celebrating my 10th wedding anniversary I think they were all right that we were young, but I wouldn't change it for anything! 3. In almost 10 years of marriage we have lived in 5 states (and no we are not in the military!) My husband was in graduate school and has had a series of temporary jobs that have led us around the country a bit. He is on the job market again and we are anticipating a move to state number six. 4. My dream job is to be a professional organizer or a party-planner for kids birthday parties and showers. 5. I have an obsession with pens. Yes, I have a 5 gallon tub of ink pens in my closet. 6. I dream of living in the country on a lot of land with pet sheep and a goat. I live vicariously through an Australian show I found on Netflix called McLeod's Daughters. 7. Not much of a surprise to anyone who knows me but I have a straight-up phobia of mayonnaise, ranch dressing, sour cream and cottage cheese. While I think I have improved some, I still panic if any of these items comes in contact with my skin. I love everything all five of these ladies do!! 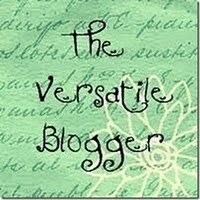 Congrats on your first blog award and I'm honored that my blog is one of the five you visit regularly! That really made my day! Thank you! I love reading the things people share about themselves! It is great to get to know more about what is behind their crafty minds! I giggled a little over your mayo phobia because my friend is the same way and I've seen her go nuts over it on a few different occasions(it put the image in my head and I wish she lived closer)! Thanks again! Have a great weekend! Congrats and thanks so much for the award, I feel very honored and appreciate it very much!